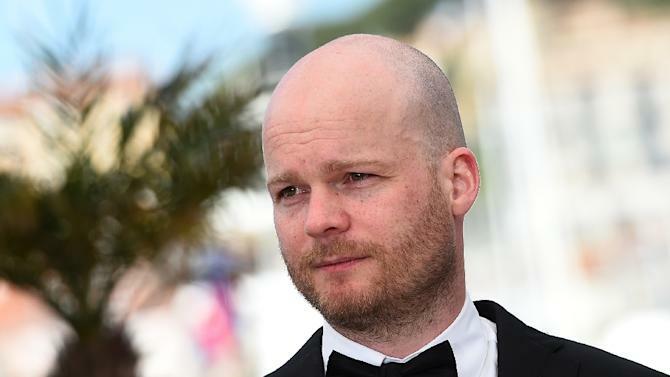 Grímur Hákonarson’s sophomore film Rams, about two brothers who haven’t spoken to each other in 40 years but live in neighbouring farms in the countryside of Iceland that have to band together to save their beloved sheep, won the Un Certain Regard award at this year’s Cannes Film Festival. The film has now been submitted for the Best Foreign Language Film category by Iceland. I spoke with the director recently about Icelandic cinema, working with sheep and the Cannes Film Festival. How does it feel to be selected as a submission for the Academy Award? The Icelandic Academy vote for one that they want to send so it’s a big honor that they chose my film. Was it a shock? What’s the process of the decision? I’m a member of the Academy so I voted for myself of course. I think that it’s different than most European countries where they have a committee who decides, but in Iceland it’s more democratic with a few hundred people who vote, including the filmmakers. I will do my best to get as far as possible. How was it going to Cannes and winning the Un Certain Regard Award? Any memorable experiences? It was a big moment in my life as well as for everyone who worked on Rams. It was the first Icelandic film to win a prize in Cannes ever so it was great for our film industry too. People didn’t expect Rams to win so there were some bickers about that. I’m a young director with my second film and I’m not internationally well-known so coming to Cannes from a small country with a small film about two sheep farmers to win the main prize was quite an experience. Receiving the prize from Isabella Rosselini and having a conversation with her afterwards, that made the day. So what was the origin of the idea for Rams? It’s based on a true story my father told me about two brothers who had to live on the same land but didn’t speak for 40 years. It’s a very Icelandic story as they’re stubborn and independent like many Icelandic people can be. I wanted to make a film about the relationship between farmers and sheep because they’re a very important animal in Icelandic history that’s close to our hearts. How would you describe the Icelandic sensibility in your industry’s filmmaking that separates it from other countries? I would say that we make films about humanistic stories. They’re realistic because we don’t have much money so we can’t finance a big expensive sci-fi movie or period pieces. Icelandic filmmakers have to think practically and make quite simple contemporary stories. That’s what the New Icelandic Wave with films this year like Rams, Sparrows, and Virgin Mountain have in common. As the film is so thematically a part of your cultural identity, do you feel a duty to represent Iceland in your aesthetic? If at least to show off the famous photogenic countryside. I don’t think like that. My intention with Rams was not to make it big in festivals but to tell an honest story from rural Iceland. I thought we needed that kind of movie as not so many have been made for the last years, and the films that were made were not so honest. I mainly wanted to make a film for Icelandic public and for people in the city who don’t know so much about sheep farming to understand what it’s all about. How has the reaction been to the film at home compared to international film festivals? It has been very good. Of course, Rams is not for teenagers, the target group is older people and those people don’t go as much to cinema. If you compare it to other similar Icelandic art house films then it’s doing really well but you can’t say it was like a blockbuster. We do get really good reviews everywhere and also get good reactions from people who go to the cinema. What film influences did you draw from for Rams? There’s a 2003 Norwegian film by Bent Hamer called Kitchen Stories, it’s about farmers in Norway and it’s quite comical too. The Straight Story by David Lynch is about two brothers who haven’t spoken in a long time so the subject is similar but the filmmaking is very different since it’s a road movie. The cinematography of Rams was really influenced by the Romanian New Wave as well as Paul Thomas Anderson’s There Will Be Blood and the Dutch film Silent Light. They say never work with animals but you seemed to be quite lucky. How did you find the sheep? Were they local? It was more difficult to cast the sheep than to cast the actors. We had to find sheep with the right frame of mind that were not afraid of people or the camera and equipment. We couldn’t use the sheep who lived locally since they were too shy so we had to bring them in from other places. They were really relaxed and pretty since they had to look like they were special breed. Usually it was pretty easy to work with them, easier when we only had small groups. You probably want to keep it close to your chest, but in your head why exactly did the brothers have a falling out? In the film it’s not that explained in detail, but the practical reason is how the parents didn’t trust the brother with the land but what I think is more important is that the characters are very different. They are like total black and white but they’re both really stubborn. What did you learn making this that you didn’t know after making your first fiction feature Summerland? In Rams I had better co-operation with people and there was a really good spirit with this film. Im not just talking about Summerland, I’m talking about other films as well where maybe the spirit wasn’t good enough. Also with Rams we didn’t have much money so because we wanted to make a film that looked like it was made for more money we had to prioritise for the quality of the film. In the production what were the greatest unexpected challenges and what things were easier than you expected? I did have some nightmares about working with the sheep. I was really worried about a complicated scene and I had people telling me “this is impossible, you have to change it” but it was much easier than I expected. The biggest challenge was the weather because we wanted to finish the film in November with the winter scenes but then we had the warmest November in the history of Iceland so all the snow disappeared. We had to postpone the filming until January so we ran into some continuity problems. We had to change some of the locations and paint some snow in post-production. You always lose money if you want to film in the middle of nowhere but then have to send all the people with all the equipment home. However, one of the nicest and easy things was working with the people in the community. They were really helpful and we didn’t run into any conflicts or anything which is not always the case. After Summerland you directed a feature documentary, are you drawn back to making documentaries after this or staying in fiction? Actually I have to finish one documentary which I started to make 2 years ago called Little Moscow, it’s about a village in the east of Iceland which was governed by a socialist party for 50 years. So I have to finish that, but I’m probably going to focus more on the fiction as I’m getting a lot of offers. I have a lot of possibilities to make films not only in Iceland but also somewhere else, so to choose between them is my biggest headache now. Do you have a favorite film of the year so far? I must say Son of Saul. It’s a great movie. As it would make you the second Icelandic nominee, what would an Oscar nomination mean to you? It would be a big honor for me and all the people who worked on Rams but the best thing is that it helps the film and more people are going to see it. After winning the big prize in Cannes you can’t ask for more than to be nominated at the Oscars. Jack is a recent graduate of the University of Hertfordshire, UK, with a degree in Film and Television Production. Resident film encyclopaedia, he naturally slipped into film journalism, though has interest in writing and making them himself one day. See his tumblr blog to the side for more film reviews and lists.